The reruns of the successful Who Do You Think You Are? (WDYTYA?) will begin to air on Friday, August 13th, on NBC at 8 PM (7 PM Central). If that time is inconvenient or you can't wait, you can view all 7 original episodes online now. A new season of episodes will begin to air early in 2011. 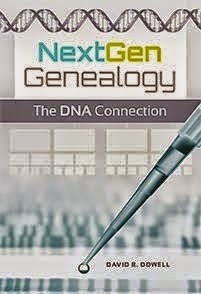 Ancestry.com, principal sponsor of the program, has announced, "Subscribers totaled 1,311,000 as of June 30, 2010, a 32% increase over the end of Q2 2009 and an 8% increase over the end of Q1 2010." Much of this growth has been attributed to the success of the first season of WDYTYA? Librarians are also reporting more family history researchers are showing up--particularly researchers new to family history. The LiveScribe that Cathy Wathen did a presentation about in class last Spring as a good tool for genealogist--particularly for oral history interviews with relatives--is on sale for the next 2 weeks at Costco. The one on sale is the high capacity 4GB model. I believe the 1GB and 2GB models are also still being sold. More information is available if you are interested. A series of short videos offer descriptions of its use in a variety of settings. I am advised that our genealogy class for fall has been scheduled. The Fall Schedule for Community Programs is scheduled to be available on Monday, August 2nd. At that time the online version of the schedule should be available at http://www.communityprograms.net. The class is in its usual Tuesday morning time slot in Room 4740 on the San Luis Obispo campus. The sessions will run from September 7th to October 12th. I will not be able to roll over your registrations as I have been able to do in the past due to the imposition of a registration fee for each class. So you will each have to contact Community Programs through their website or by calling (805) 546-3132 to reserve a computer work station for the class. This will be a class in US Research for beginner and intermediate level researchers. Daily we hear charges that we are spending our grandchildren's quality of life by running up huge debts they will have to repay. Whether or not this will turn out to be true remains to be seen -- although some of us will probably not live long enough to find out. Another battle about our grandchildren's ability to do family history research is more quietly being determined now. Changes are now being made in how various national censuses are being taken that will have a big impact on what records will be available to our grandchildren as they seek to continue our current research efforts. Statistical sampling and short forms for many if not most families are being considered in the US. Of course the 2010 census here is not scheduled to become available until 2082 under current regulations aimed at protecting the privacy of those who give information and hopefully thereby increasing the participation rate. Those of you who recently filled out the 2010 census may have noticed that the data collected was rather minimal compared to what we often find in the early 20th Century census records. However, the current hot spot for this debate is Canada. One the eve of the release of the 1911 Census--currently scheduled for next month -- a new law unanimously passed would require that those filling out both the 2006 and 2011 censuses to "opt in" before their results could ever be released instead of them being made available in 92 years. Genealogy groups are trying to rally support for reconsideration. Also it appears that most Canadians will be given the option of submitting a short form that would not contain much of the information we are accustomed to finding in such returns. It appears that those advocating privacy are pushing aside the rights of informed citizens to know about their ancestors. Will this trend continue? Should it? And how will our grandchildren find out about us if it does? The DAR Library in Washington, DC is one of the great places to do research. 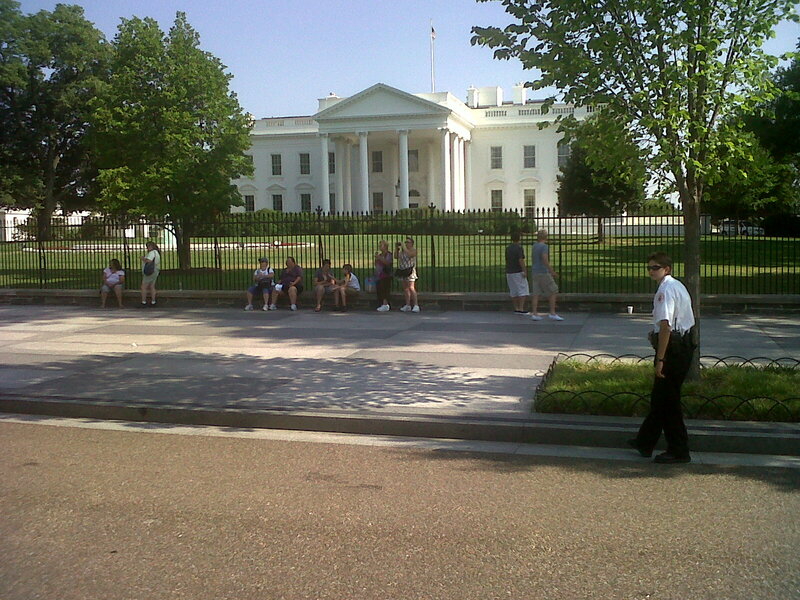 It is located at 1776 D Street, NW--just to the southwest of the White House complex. Non-members pay a $6 daily use fee. Parking is severely limited and expensive so public transportation is preferred even though that is not terribly convenient either. Be prepared to empty your pockets and walk through a metal detector as you enter but you won't have to take off your shoes as you do at the airport. I ended up spending a day researching at the DAR Library because one of my research partners for the day prefers its "open stack" arrangement over the Library of Congress. For you non-librarians, this means you can go directly to the shelves and retrieve most of the 185,000 volumes for yourself and browse related items shelved nearby. In a "closed stack" library, one must look up books in the catalog, fill out a request slip and wait for staff to retrieve books for you. One misconception of the DAR Library that another of my researching partners had was that the library contained nothing more than lineage papers filed by aspiring members. Although these are another valuable resource in addition to the published volumes, the library contains 30,000 histories and genealogies many of which are said to be "unique or available in only a few libraries in the country." In addition the collection contains local histories, genealogical periodicals, city directories, and all kinds of materials on the Revolution and the late 18th Century. In an earlier post to this blog, I discussed the Genealogical Research System (GRS) which gives access to an outline of lineages of members. During my visit I was told that within the next month or so there would be an online process for ordering and paying for the backup documents to the application documents that are more than 75 years old. If you do visit and need sustenance during the day, the Clara Barton Cafe across the street to the north in the Red Cross complex offers a variety of food at reasonable prices and is open until about 2:00 PM. What could be more appropriate than a visit to the United States Nation Archives on the 4th of July? This is the second in my discussion of genealogy research sites in our nation's capitol. The Archives contain an incomprehensible amount of documents that are byproducts of the work of various offices of our federal government. It was only a little over a decade ago when one had to visit the National Archives, one of it's regional branches or a large and specialized genealogy library to be able to review census records. How times have changed. Today we have come to expect to be able to review census records in more than 2,000 libraries who subscribe to Ancestry Library Edition or even from the comforts of home if one is fortunate enough to have a personal subscription to Ancestry. In addition, Footnote.com is in the process of opening a wealth of other documents to armchair researchers. One thing for researchers to remember is that documents created by the federal government are not protected by copyright as they are considered to be in the public domain. I will not pretend to describe all the resources available at the National Archives. I would suggest that your exploration begin but not be restricted to the page on Resources for Genealogists and Family Historians. Also visit Inside the Vaults - The Declaration of Independence to see a short video about the document which celebrates its 234th birthday today. HAPPY BIRTHDAY DECLARATION OF INDEPENDENCE! Last week I passed my cousin's house as I walked from the Daughters of the American Revolution (DAR) Library back to my hotel in Washington, DC. Actually cousins have lived there 13 1/2 out of the last 21 1/2 years. Barack Obama is my 10th cousin--once removed. I am also related to George W Bush through 3 of his 4 grandparents. Barack, W and I all descend from the same New England family, Samuel and Sarah (SOULE) HINKLEY, who came to Plymouth Colony in 1635. But, alas, none of this has gotten me a night in the Lincoln Bedroom. Still this is a great picture for the 4th of July!